Exaggeration is the wheelhouse of many writers in the high-end audio scene. With a relatively paltry vocabulary available to describe the sonic signatures of amplifiers, digital-to-analog converters, and loudspeakers, a significant number rely on floridly embellished conclusions to carry articles that are little more than product profiles. While this is often good for manufacturers, who are thus provided with glowing quotations with which to flesh out a product’s ad copy, it’s of little use to everyday users -- you know, the people who actually buy the products. GoldenEar Technology was created two years ago, and since then their products have not earned good reviews. Rather, they’ve earned tremendous reviews that have bordered on hagiography -- audio writers seem universally enamored of their sound quality. 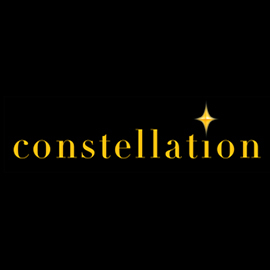 GoldenEar does have a pedigree of forebears who have produced products that were (and are) well designed and reasonably priced -- the Maryland company was established by Sandy Gross (cofounder of Polk Audio and Definitive Technology) and Don Givogue (cofounder of Definitive Technology). For GoodSound!, then, the GoldenEar Triton Three ($999.99 USD each) seemed a perfect choice. Besides, my inner skeptic was riled. I asked for some review samples. The Triton Three is derived from GoldenEar’s debut product, the Triton Two, still the company’s flagship model. Standing on its thick, relatively weighty MDF base (but not on its included rubber floor spikes), the Triton Three stands 44”H x 13”D, and its width flares from 5.25” at the front to 7” at the rear -- viewed head on, it’s deceptively thin. 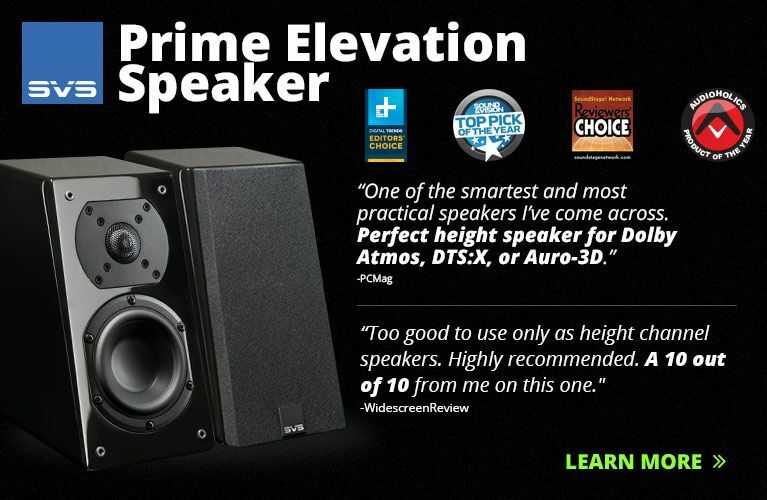 At 45 pounds each, the speakers were relatively easy to position in my living room. While it has a somewhat rounded look, and is covered in a black sock à la Definitive Technology speakers, or the now-defunct Mirage’s older M-series towers, the Triton Three’s Medite cabinet is nearly rectangular with a perforated-steel, half-moon-shaped grille that extends the entire height of the front baffle. Another interesting aspect of the design is that the top of the cabinet is angled -- the front of the speaker is taller than its rear. The overall design is utilitarian, forgoing a traditional MDF cabinet with wood veneer to allow maximum investment in GoldenEars’ high-quality components. A traditional ribbon tweeter has a very thin diaphragm that supports a planar coil and is suspended in a magnetic field. The Triton Three’s High-Velocity Folded Ribbon tweeter is also known as an Air Motion Transformer (AMT) or Heil tweeter, for Dr. Oskar Heil, who pioneered the design in the 1970s. Rather than a traditional ribbon’s flat design, the AMT has a multitude of accordion-like pleats. The benefits of a folded design are that each pleat ostensibly acts as a separate diaphragm -- this means that the moving mass of each diaphragm is small, while the folded geometry is claimed to have superior dispersion characteristics. Rather than pushing the air around it, as would a traditional domed diaphragm, an AMT squeezes it. Whereas traditional Heil designs had power-handling problems due to their use of Mylar, which doesn’t much enjoy heat, GoldenEar uses a Kapton-based diaphragm that also allows the AMT to provide extension out past 30kHz. Closer inspection revealed that the Triton Three’s tweeter is placed slightly off-center on the front baffle, which helps mitigate diffraction issues. Above the folded ribbon on the Triton Three’s front baffle is a 4.5” midrange driver with a 1” voice coil and a Multi-Vaned Phase Plug. It’s crossed over to the tweeter at a high 3.5kHz. Below the folded ribbon is a 5” x 9” “racetrack”-shaped bass driver coupled to two opposed 6.75” x 8” passive radiators, one mounted on each side panel. The single woofer is powered by a built-in, 800W class-D amplifier with digital signal processing, and is crossed over to the midrange unit at 150Hz. The Triton Three is claimed to be “compatible with” an 8-ohm impedance, be blessed with a 90dB efficiency rating, and require 20-400W of amplification. The frequency response is listed as 21Hz-35kHz, though no ±3dB rating is mentioned. On the rear is a recessed panel with a pair of binding posts, an LFE input that allows the bass section of the Three to be used as a subwoofer in a home-theater system, a mains input for the included power cord, an LED indicator, and a dial to adjust the sub’s output level. I found that “neutral” for my rather large listening room meant a setting of almost 1 o’clock, a bit higher than the “flat” setting of high noon. Any given listening space will augment a speaker’s bass response with room gain; the Three kindly lets the user place the speakers wherever desired and tailor the subs’ output from there. The easily maneuverable Triton Threes took the place of my Mirage OMD-28s, and ended up 24” from the front wall and 36” from the sidewalls, describing a 9’ equilateral triangle with my listening position on my old, rather weathered couch. It was suggested that I toe-in the speakers until they faced me nearly head-on. This produced better imaging than did a mild toe-in and so I stuck with it. 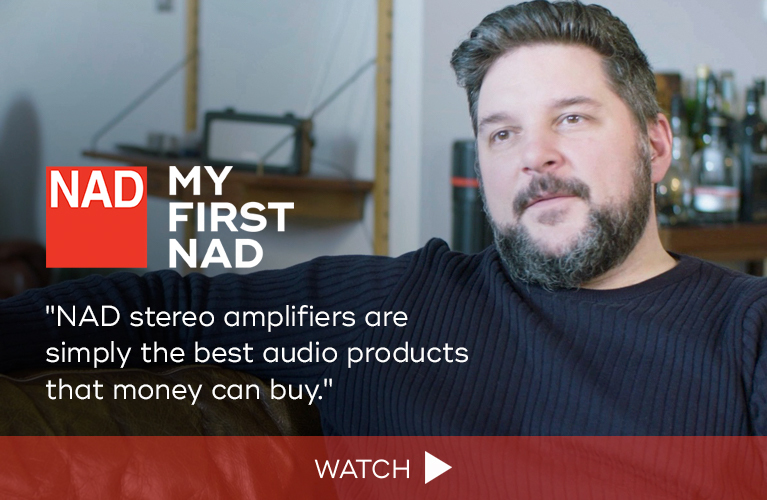 I used the Threes predominantly with my Krell KAV-300il integrated amplifier and Arcam’s FMJ D33 digital-to-analog converter, and a loom of Nordost Blue Heaven LS speaker cables, XLR interconnects, and power cords. I also partnered the Threes with Hegel Music Systems’ H300 integrated amplifier, which has a built-in DAC. Speaker cables were Dynamique Audio’s copper-silver Caparos, and I wirelessly streamed my lossless iTunes library to the Hegel via an Apple AirPort Express and generic TosLink cable. 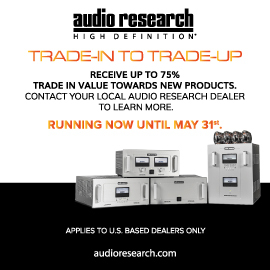 If evaluating the GoldenEars at a local dealer, you’d be wise to partner them with quality amplification and a quality source. 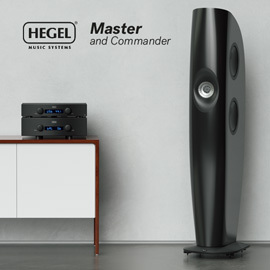 While their powered bass section will sound identical whether plugged into a budget stereo receiver or $45,000 Vitus Audio monoblocks, the Threes’ midrange and treble noticeably opened up when introduced to the Hegel. The Triton Threes didn’t sound as I expected them to. With the ribbon-esque tweeter, I was bracing myself for a laser-guided, slightly bright treble region -- “tipped up,” I believe, is the audiophile term for it. 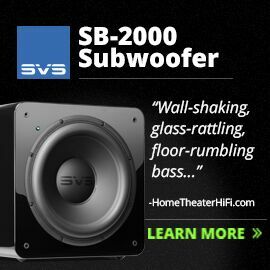 Given the built-in subwoofer, I expected a faint disconnect between what I imagined would be punchy but mildly loose bass, and the passive drivers aligned above it. What I heard was altogether different. The sound of the Triton Three fell somewhere between the crisp, explicit articulation of Definitive Technology’s BP-8020ST loudspeaker, and the utterly relaxed soundscape produced by speakers such as those from Sonus Faber. Tonally speaking, the GoldenEar produced nearly uncolored sound that had only a hint of soft warmth. While many listeners prefer a certain sonic flavor, the ever-so-kind sound of the Triton Three made it thoroughly listenable, and will probably appeal to a broad swath of potential buyers. It sounded nondescript -- in a good way -- and was almost assuredly designed that way. The Threes’ defining characteristic was their scope. The black speakers produced a broad, spacious sound of really surprising depth. While I’ve heard speakers that offer greater overall sonic size, all of them have nontraditional driver arrangements; the DefTech 8020 is a bipolar design, and my reference Mirages are omnidirectional. As far as direct radiators are concerned, the Triton Threes sounded as large as one can expect for a $2000/pair of speakers. The outputs of the folded-ribbon tweeter and midrange driver were very well integrated, and did an enviable job of re-creating acoustic spaces. Further praise is due that ribbon. It was exceedingly smooth in its delivery of high frequencies. This relaxed character complemented what was otherwise a pretty resolving design. The starkest, coldest recording I own is Dido’s No Angel (16/44.1 ALAC, Arista). The album’s finale, “Take My Hand,” is as etched as it is ethereal, but the Triton Three’s folded ribbon slightly truncated that edginess, faintly tempering what would otherwise be blow after blow of the Londoner’s chilled voice pouring over me. This amounted to a slight editorializing of the album’s sound, but done in such a manner that I doubt any listener would find it disagreeable. With copious amounts of airiness provided by the folded ribbon, it sounded effortless with Dido and with every other recording I threw at it. Prodded to play loudly, the AMT responded without complaint, and never seemed to compress or close in. It’s a choice tweeter. The GoldenEar’s midrange driver was also accomplished, primarily in its smooth integration with the folded ribbon. I’ve found that it’s pretty difficult to coax disparate driver designs into creating a coherent soundfield. MartinLogan’s ElectroMotion ESL ($2195/pair) suffered from this problem -- as impressively agile as its electrostatic panel was, the output of its passive 8” woofer sounded conspicuously detached from the rest of the audioband. Not so with the Triton Three, a quality it shared with GoldenEar’s smaller Aon 3 bookshelf loudspeaker ($499.99 each), which Doug Schneider recently reviewed. When I played “Tears in Heaven,” from Eric Clapton’s Unplugged (16/44.1 ALAC, Reprise), the Triton Three’s 4.5” midrange ably set Clapton’s voice back a bit in the soundstage, flanked by his plucking of acoustic guitar and Nathan East’s bass. His weathered voice didn’t sound at all thin, and a goodly amount of detail was unraveled for me. The GoldenEar’s agility with the strings of Clapton’s Martin 000-42 acoustic guitar was impressive, though it didn’t seem to offer quite the resolving power of my reference speakers -- which, admittedly, cost almost four times as much. For $2000, though, the Triton Threes offered almost all of the agility, and as much resolution, as the slightly more expensive MartinLogans, without having the beamy character of the ESLs’ dipolar design. That’ll do. What I found most impressive about the Triton Three was its bass reproduction. For having only a single 5” x 9” bass driver in its svelte cabinet, the Triton Three was seriously punchy in the low end. This was in large part thanks to its 800W DSP-controlled amplifier and its two passive radiators. While GoldenEar claims bass extension to 21Hz, they don’t disclose how many dB down the design is at that frequency. Subjectively, I’d say the Three was flat down to at least 30Hz in my room, and possibly lower. While it lacked the reach of my Mirages’ dual 8” woofers, the Triton Threes’ bass was still surprisingly taut and extended, given the dimensional constraints of their cabinets. The deep bass line of “Power of Goodbye,” from Madonna’s Ray of Light (16/44.1 ALAC, Warner Bros.), was actually present in my listening room with the Threes installed -- a surprise, given just how low it is. The MartinLogans and DefTech 8020s barely hint at it, but the GoldenEars were able to plumb a fair bit of this recording’s bass energy. And not once was the Triton Three’s powered bass section overwhelmed by the rampant synthesizers on tap in the Tron: Legacy soundtrack (16/44.1 ALAC, Walt Disney). From “The Game Has Changed” to “Solar Sailor” and “Disc Wars,” the Triton Three never sounded as if it needed the aid of a subwoofer. I never heard any kind of compression from that hardworking 5” x 9” bass driver. 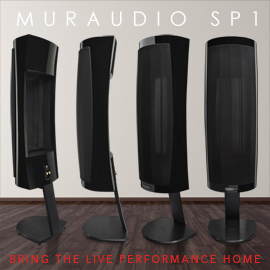 These tracks revealed far more finesse through the Triton Threes than through the MartinLogan ESLs, and the ability to tune the GoldenEars’ bass response via their rear-mounted dials was a welcome feature that I made use of. The Triton Threes weren’t quite as solid and composed with the nether synth notes as are my Mirage OMD-28s, but few speakers are. 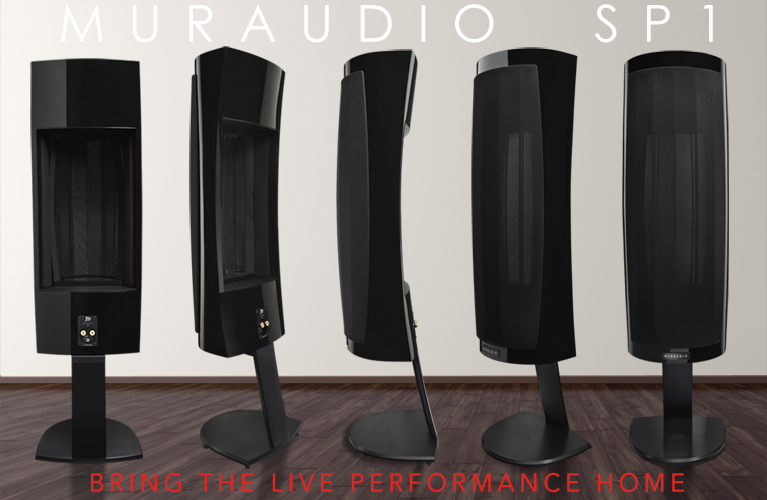 That any reasonably priced product entails compromise is something that many audiophiles have come to expect from speakers costing no more than $2000/pair. But GoldenEar’s Triton Three doesn’t ask the buyer to accept anything less than a loudspeaker that is convenient and thoroughly competent. With a peach of a folded-ribbon tweeter and a powered bass section that should obviate the need of a subwoofer for all but the most depraved bass junkies, the Triton Three is as forgiving of low-powered amps as of harsh recordings. It won’t move heaven and earth in quite the manner that some other reviewers have claimed, but for $2000/pair, I’m not sure you can buy a more complete loudspeaker. Warranty: Five years parts and labor on passive elements; three years on electronics.